This study aims to investigate the relationship between regional connectivity in the brain white matter and the presence of psychotic personality traits, in healthy subjects with psychotic traits. Thirteen healthy controls were administered the MMPI-2, to assess psychotic traits and, according to MMPI results, a dichotomization into a group of “high-psychotic” and “low-psychotic” was performed. 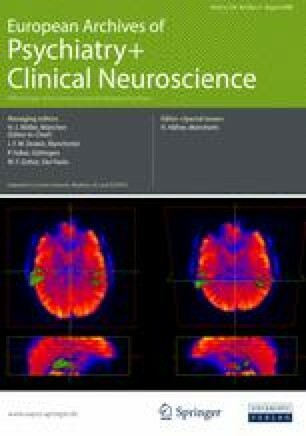 Diffusion tensor imaging (DTI) was used as a non-invasive measure, in order to obtain information about the fractional anisotropy (FA), an intravoxel index of local connectivity and, by means of a voxelwise approach, the between-group differences of the FA values were calculated. The “high-psychotic” group showed higher FA in the left arcuate fasciculus. Subjects with low scores for psychotic traits had significantly higher FA in the corpus callosum, right arcuate fasciculus, and fronto-parietal fibers. In line with previous brain imaging studies of schizophrenia spectrum disorders, our results suggest that psychotic personality traits are related to altered connectivity and brain asymmetry. Umberto Volpe and Andrea Federspiel contributed equally to this work.